I don’t know if you’ve heard, but there’s a big football game Friday in Morgantown. 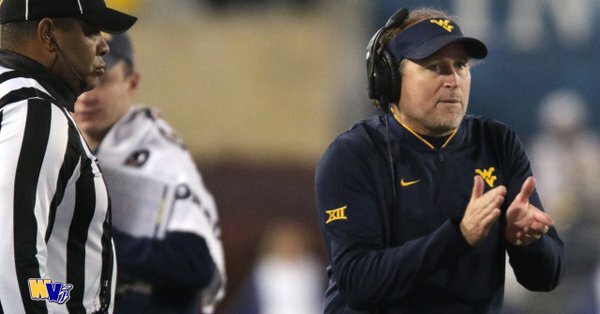 As a matter of fact, Dana Holgorsen says WVU football is approaching a “defining moment” when the Mountaineers take on Oklahoma with a shot at the Big 12 title game on the line. With the Mountaineers coming off of an extremely tough road loss at Stillwater, there’s no better way to get back on track than scoring the first conference win over the Sooners. Kickoff for the Black Friday showdown is set for 8 p.m. It will be televised by ESPN. Oklahoma opened up as 3.5-point favorites over the Mountaineers, but it has since been bet down to 2.5. As far as the Big 12 title game goes, the winner of this game is in. Texas is also in with a win over Kansas. If Kansas pulls off the shocker over Texas, then this allows West Virginia into the Big 12 title, even with a loss. Unlike the rest of the showdowns during rivalry week, Oklahoma and West Virginia do not have an illustrious history. That said, if they continue to have showdowns like this in the season finale, that will change quickly.